Jade is an experienced corporate lawyer, specialising in cross-border M&A, joint ventures and corporate restructuring. She is also well-versed in advising capital market and securities law. She has substantial experiences in technology, real estate, energy & resources, agriculture and financial institutions sectors across ASEAN region representing multinationals, Asian companies and investors ,and government-linked companies. Her regional practice experiences includes being a resident in Malaysia, Cambodia and currently Indonesia. 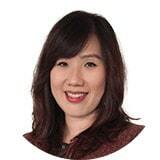 Jade began her career in a boutique corporate law firm in Malaysia. She joined Zaid Ibrahim & Co. (a member of ZICO Law) as an Associate with the Corporate & Commercial practice group in August 2013 and was seconded to SokSiphana&associates (a member of ZICO Law) in September 2014 as a Foreign Counsel for a year. She relocated to Indonesia in April 2016 and became a partner in January 2018.